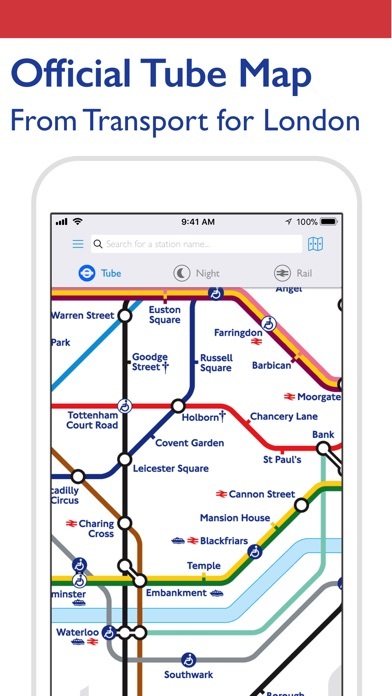 Tube Map Pro uses the official Tube Map from Transport for London (TfL) with live travel information and a journey planner – all free from adverts. 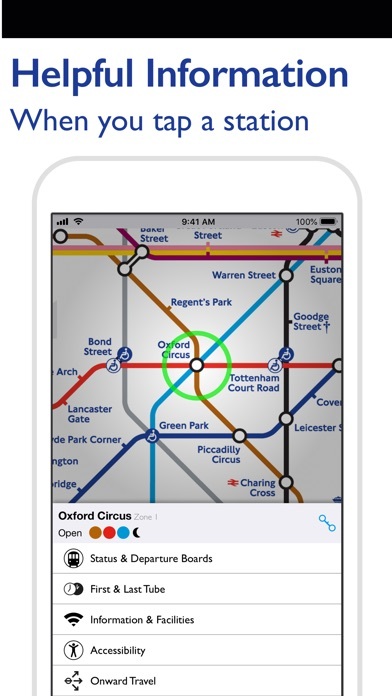 This app is the Pro version of Mapway's award-winning Tube Map which has over 18 million downloads worldwide. Key features: • Uses the official TfL iconic Harry Beck London Underground map design. • Includes additional map views for the TfL Night Tube and Rail Network. • Easy to use both with and without an internet connection. 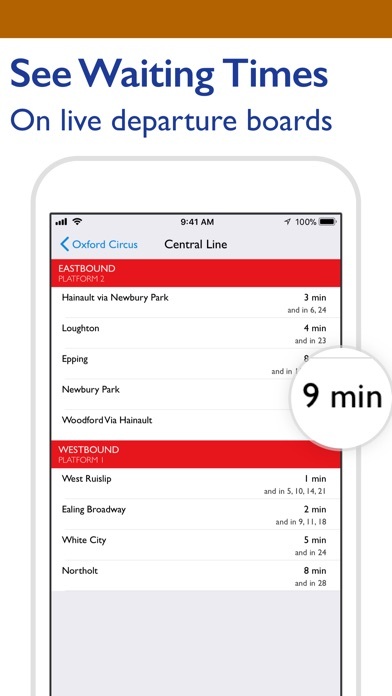 • See when the next train is due with live TfL departure times. 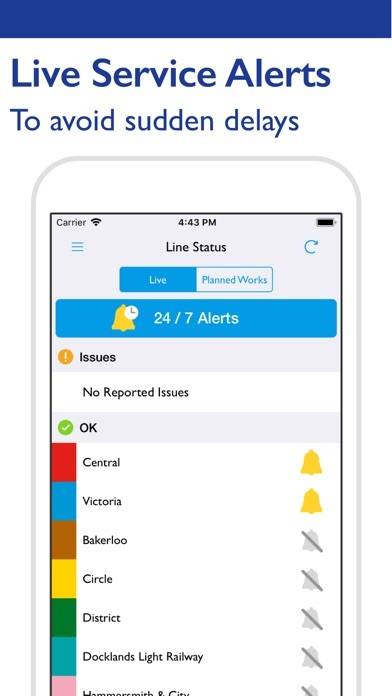 • Journey planning made easy with real-time routing around closures and delays. • Compare the journey time and cost of different routes to find the fastest and cheapest ways to get around London. • Plan routes anywhere in London from places, postcodes, Points of Interest and tube stations then follow directions with a step-by-step guide. • Routes can be stored in Favourites for quick selection when on the go. • Tap the blue 'locate me' button on the map to find your closest station. • Walking Tube Map overlay shows station to station walking distance information for shortcuts on the map. • First & Last Train Times give additional journey information. • Tube Exits help to know which carriages to get on for the quickest change between stations. 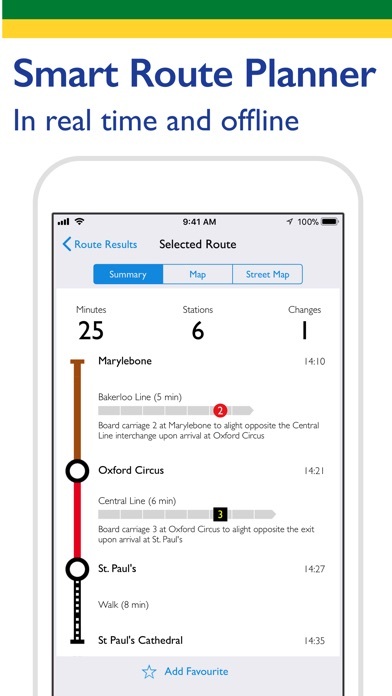 • Tube Map Pro Apple Watch App available. Please note: whilst we endeavour to ensure that Line Status notifications are delivered in a timely manner we can’t guarantee this 100% of the time. There may be occasions when the functionality isn’t available due to technical reasons outside of our control. With over 42 million downloads worldwide make sure you check out other Mapway apps like Bus Times London, Paris Metro and New York Subway. Plan. Route. Relax. Like Tube Map on Facebook or follow us on Twitter @TubeMapLondon. We'd love to hear from you.